North Wales is proud to be associated with Willerby Holiday Homes, one of the UK’s largest manufacturers of static caravans and holiday lodges. Willerby static caravans have an enviable reputation for exceptional quality, stylish interiors and innovative design. 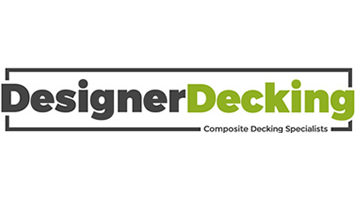 Want to skip straight to see what models of Willerby’s are available? Just click here. Willerby Holiday Homes is a thriving company based in Hull. They are proud to be celebrating their amazing, 70 years trading in the caravan business in 2016. The company employ around 1000 people and several hundred more across its supplier outlets. Set up in 1946 from humble beginnings, their success has mainly been developed with the hard work and commitment of their workforce over the years. Willerby employs only the very best craftsmen, engineers and designers. Their team travels the world to ensure that their latest models meet with exacting design innovations and quality standards. The Company has been awarded many accolades as testament to their designs, commitment and quality philosophy. They have been awarded the ‘Holiday Caravan of the Year’ trophy on several occasions. Today’s models cater to the pockets and tastes of the Company’s extensive customer range. Willerby’s ethos is to offer exceptional choices for the first time buyer market, allowing them to experience the type of lifestyle that a holiday home offers them. Many customers continue to upgrade to more ultra-luxurious models when your budget allows. Willerby caravan owners invariably stay with this brand. Here are a few for sale right now. 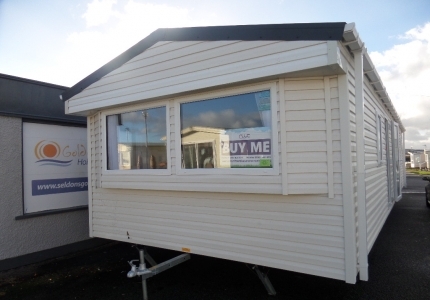 This 2013 model is a stylish, 38ft by 13ft holiday home that comes equipped with an amazing range of quality fittings and modern design features. Offering Double Glazing and Central Heating as standard, the semi-secluded lounge separates the kitchen from the living space. This 2 bedroomed static caravan sleeps 6 and has a master bedroom with a double bed and plenty of storage, including a dressing table and a wardrobe. The second bedroom has twin beds for family use, including a bedside table and a full height wardrobe. More details. Another holiday home of exceptional quality, this 2013 model has a luxurious feel. It has been designed to offer a perfect blend of modern features and traditional design. The 38ft x 13ft model has 2 bedrooms, a double and a twin room and can sleep up to six by converting the dining table into a further double bed. Central Heating and Double Glazing are decking extension included for all your holiday comforts, whatever the season. More details. This 3 bedroom Holiday Home is a 2017 model and includes Central Heating, Double Glazing and Pan Tiled Roof. Flexible Seating arrangements provide lots of space in the living area. Also includes a U-shaped kitchen, large fixed sofas with pull out guest bed, dinette style dining area and large family shower with separate toilet facilities. Did we mention that it sleeps 8? Click here to see more details. North Wales Caravans are major suppliers of Willerby Static Caravans and Lodges. If you’re just about to commence your Holiday Home search, you can discover a wealth of information to help and guide you on our website. All our associate Holiday Parks, each with excellent facilities, are located around the Towyn region of North Wales close to stunning beaches and outstanding countryside. Our Sales Team will be happy to help and advise you on any new or used caravans for sale that you might want to view.